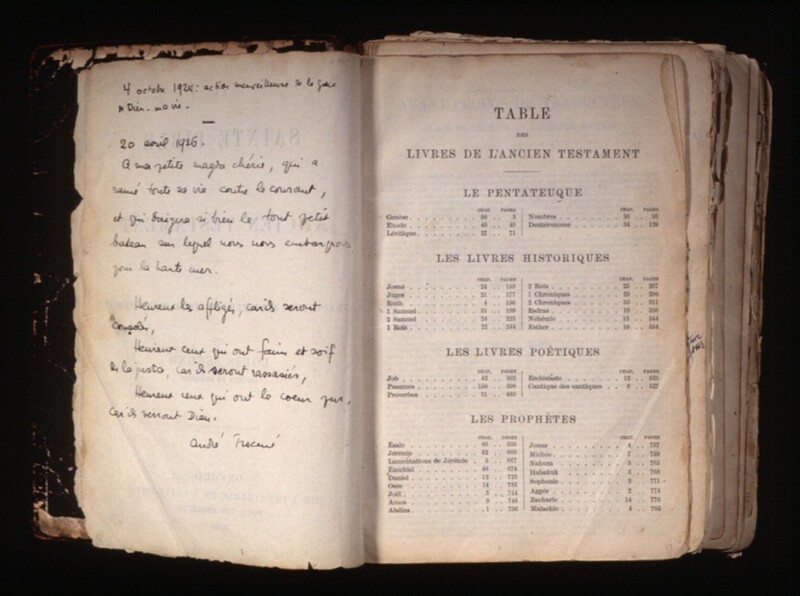 The family bible shown here belonged to Andre Trocme and contains annotations he made in preparation for his sermons. Trocme was a Protestant pastor in Le Chambon-sur-Lignon, France. During the war, he and the town's residents helped shield Jews, especially Jewish children, and others from the Germans. 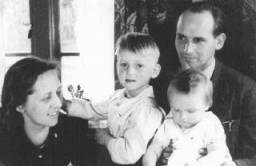 The operation saved thousands of refugees, including about 5,000 Jews. His handwritten inscription in French reads, in part, "Happy are those hungry and thirsty of justice; for they will be satisfied."